TTK Prestige has announced the launch of Prestige Kitchen Boutique – an exclusive retail initiative that showcases a gamut of designer modular kitchens. Riding on the success of over 180 prestige smart kitchen retail outlets across 110 cities in India, prestige kitchen boutique is the second retail format that is being announced by the company. The Prestige Kitchen Boutique is a complete, end to end kitchen solution store with an appealing ambiance & unique modular layout. Currently there are two stores in Bangalore situated at Koramangala & J P Nagar. The store is equipped with a full-fledged design studio that allows the customer to get a look & feel of each kitchen exclusively. Prestige Kitchen Boutique also offers comprehensive choices of materials, styles, designs, accessories, hardware, electro-domestics and combinations, making every kitchen unique & one of its kind. 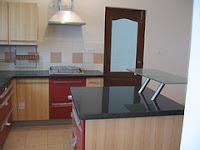 Each kitchen is unique catering to the individual needs of the customers with efficient space management, styling, finishes, lifestyle and ergonomics best suiting the different needs of Indian kitchen. The prestige modular kitchen range is priced at around Rs 100,000 onwards. The company plans to start exclusive kitchen boutiques at all major locations in the country beginning with the southern market. Each boutique will entail an investment to the tune of 50 lakhs & will operate on the franchise model like the prestige smart kitchens. All prestige kitchen boutiques will have a complete back end of designers, carpenters, plumbers, masons and electricians to ensure prompt and quick fulfillment of client’s needs.